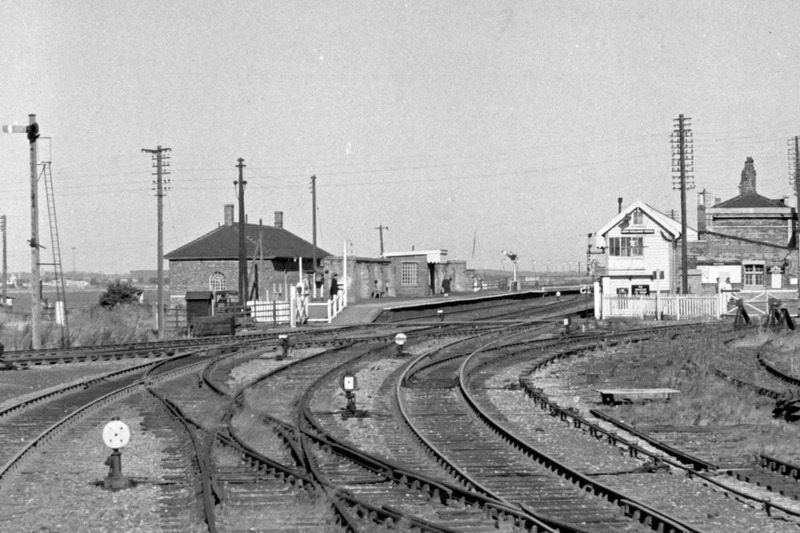 New Holland Town station on the shore end of the pier - 10th September 1972. 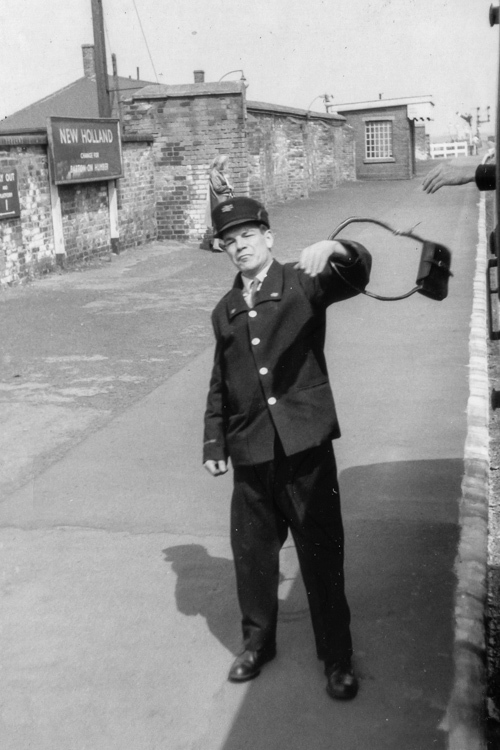 Station staff receive the single line token from a train from driver of a train heading towards the pier. 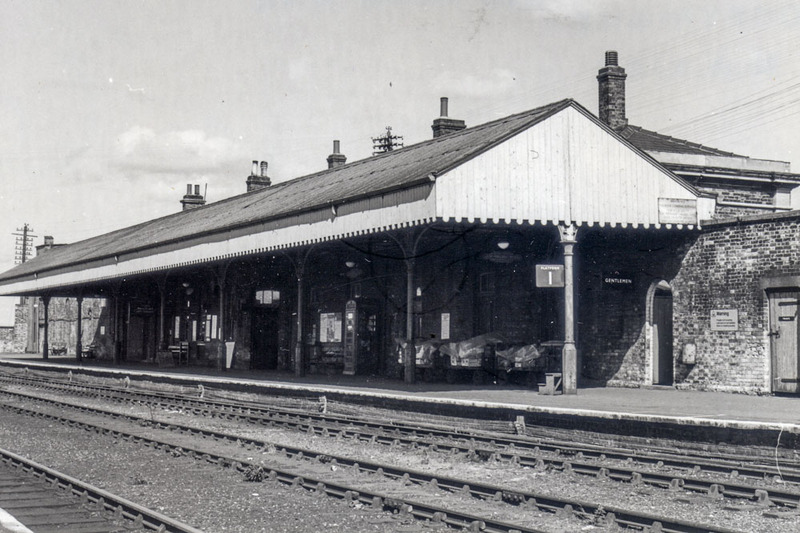 New Holland Town station looking towards the pier - 20th November 1972. 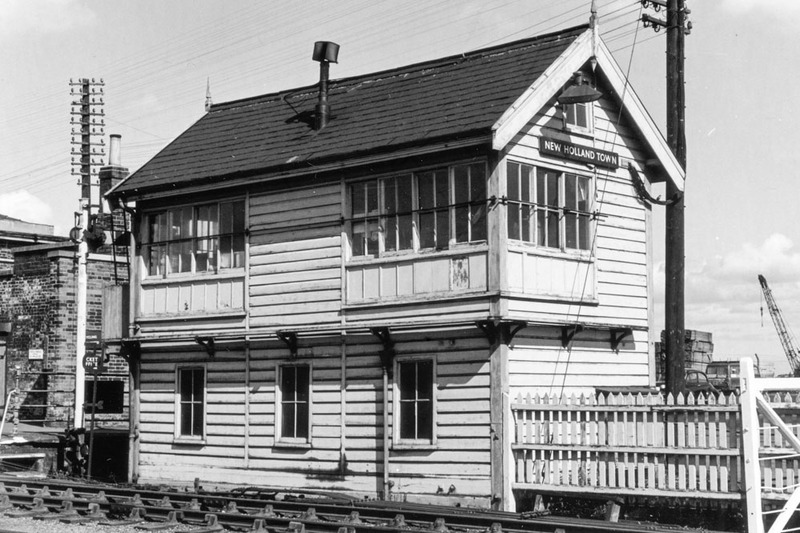 New Holland Town signalbox - 10th September 1972. 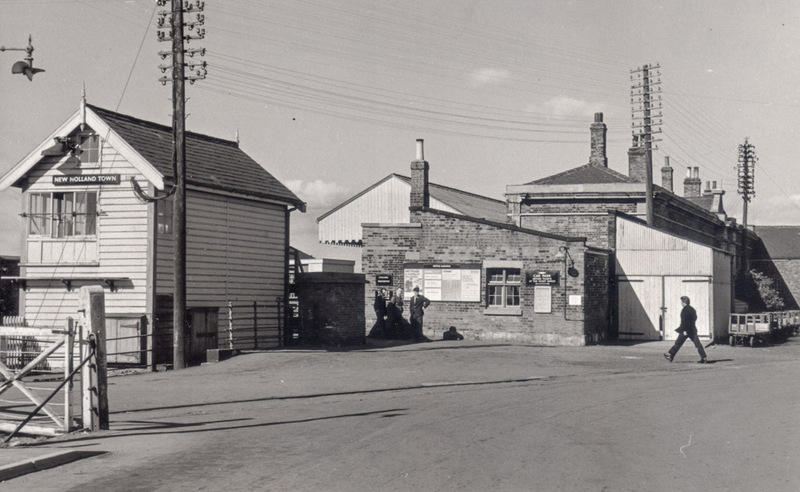 Station approach at New Holland Town - 27th March 1969. 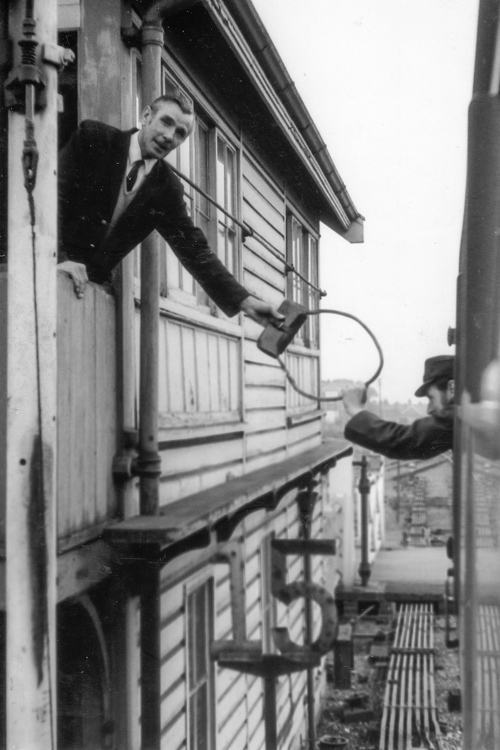 A dmu driver receives the single line token from the Town box signalman. 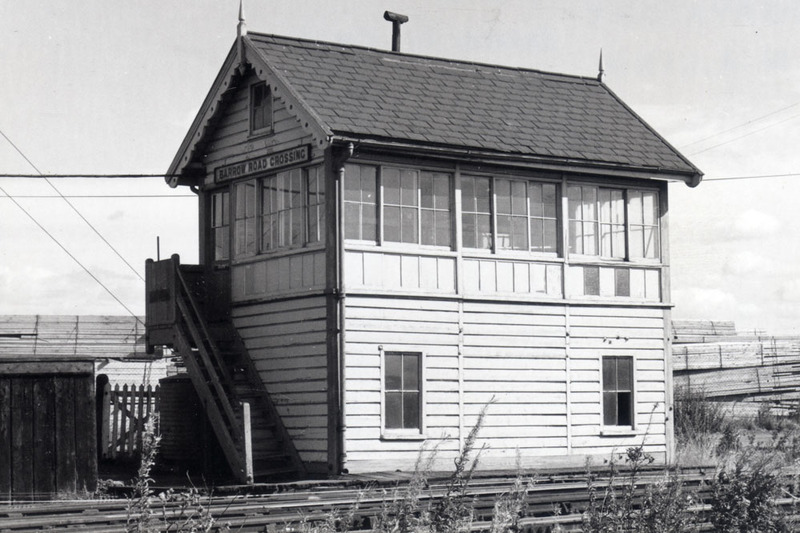 signalbox. 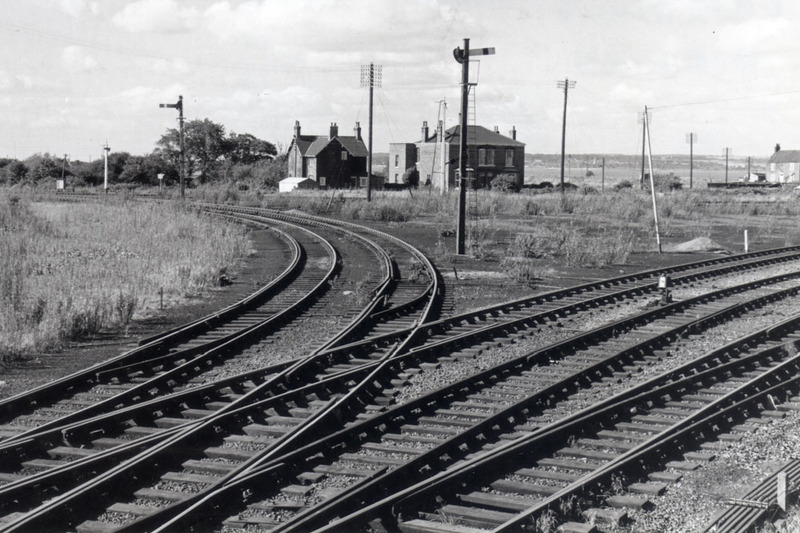 Lines to the right go to Barton on Humber. There is also an avoiding chord making up the triangle. 10th Aug 1972. Looking back towards Town station from the Grimsby side of the triangle. 27th Sept 1969. 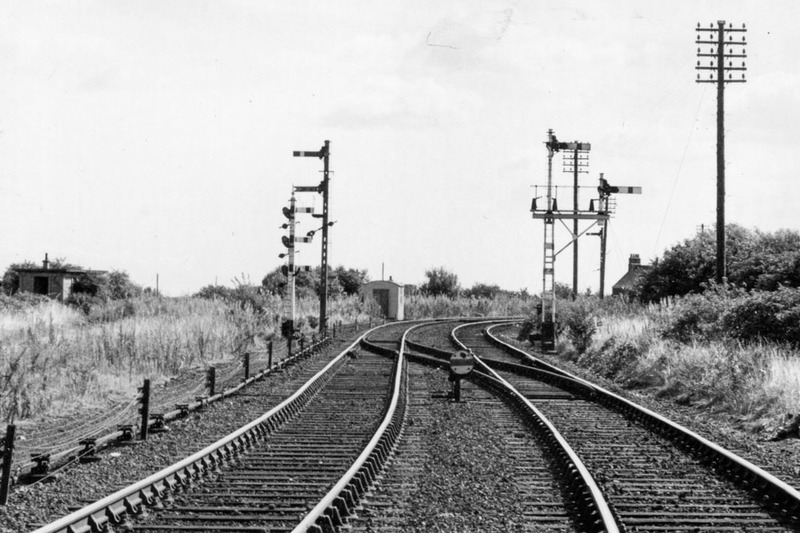 The New Holland avoiding chord curving to the left towards Barrow on Humber & Barton on Humber. 10th September 1972. 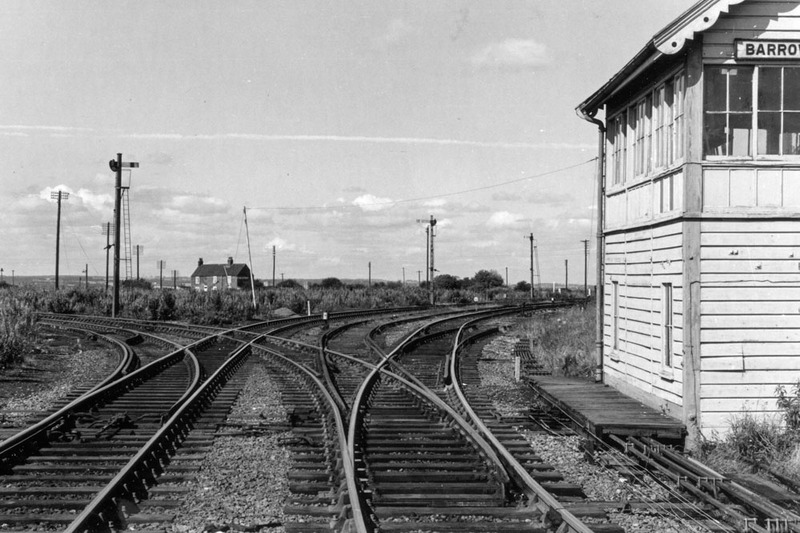 Barrow Road signalbox controlling movement on the New Holland triangle. 10th Sept 1972. 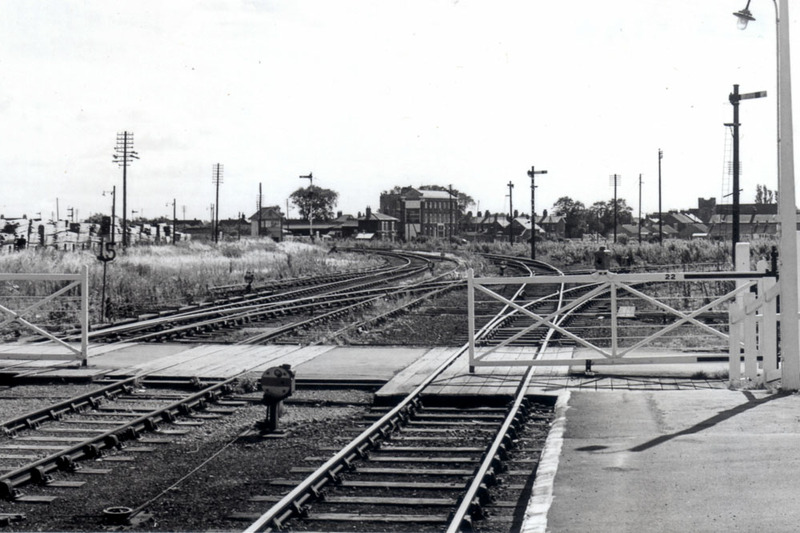 Road access to New Hollands stations was by Barrow Road Crossing. on the old avoiding chord. 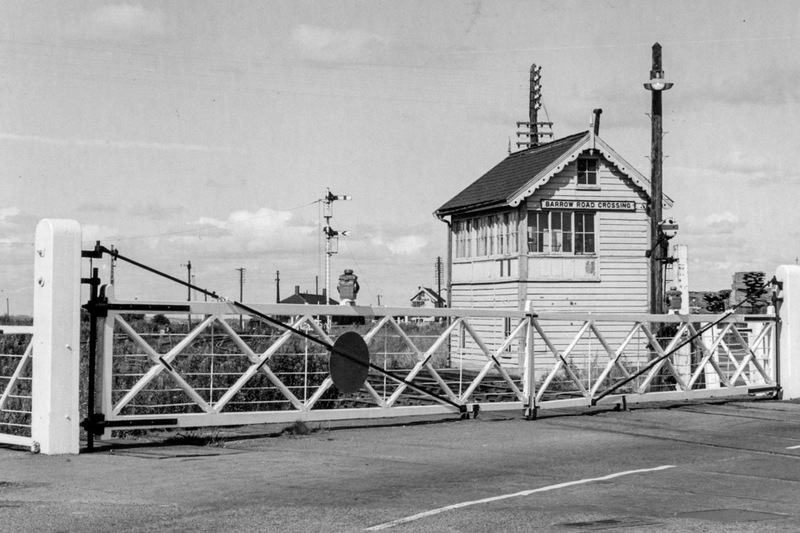 Barrow Road Crossing and box is still in use for the remaining single line to Barton on Humber. 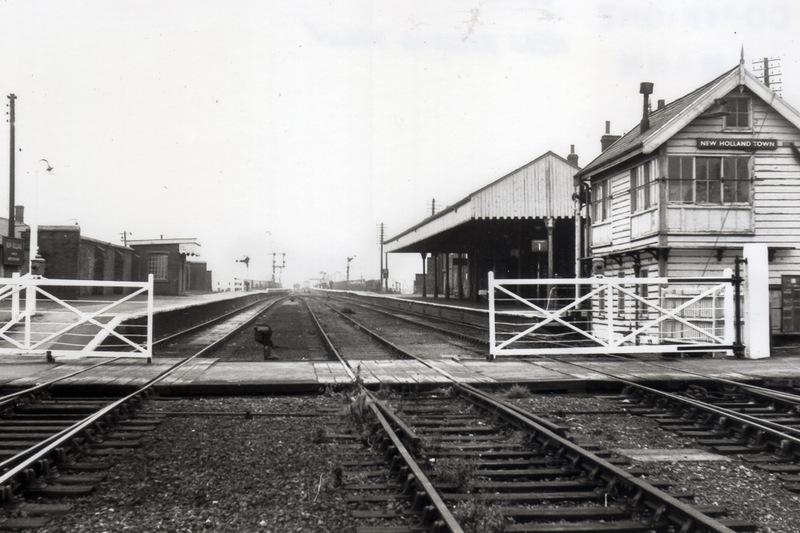 but whilst a rail link still exists it is no longer used. 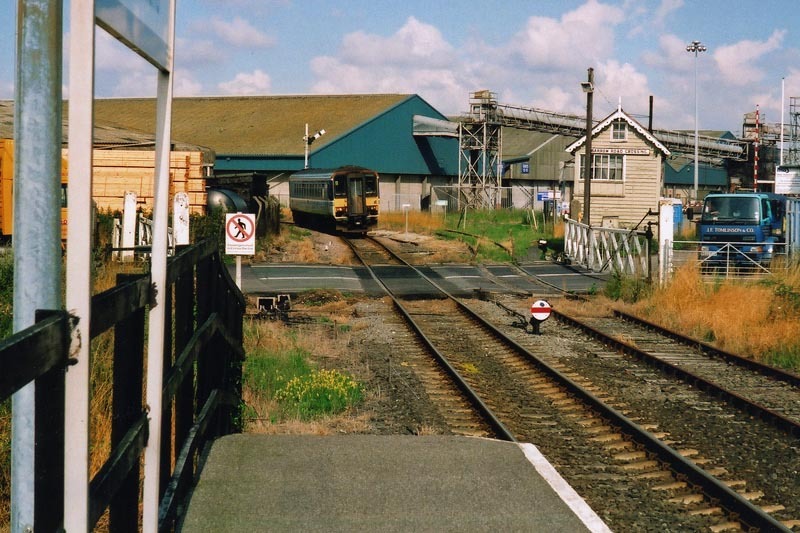 Looking towards Grimsby from Barrow Road Crossing. The site for present New Holland station (as prev photo) is on right of pic. 10th Sept 1972. 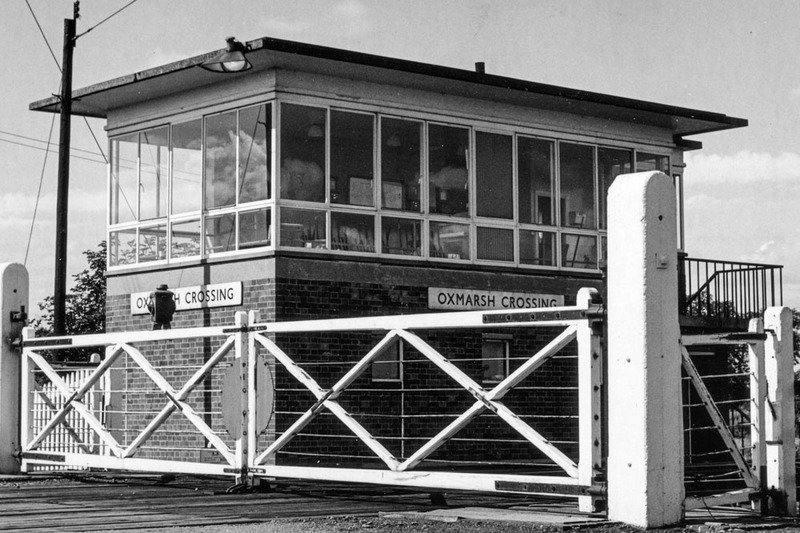 Within a quarter of a mile or so of Barrow Road Crossing is Oxmarsh Crossing box. 10th Sept 1972.